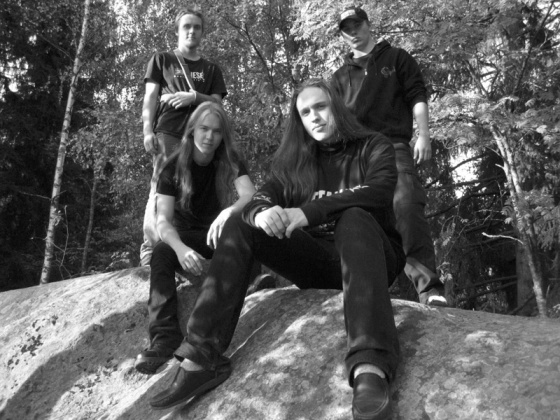 WRTX is a thrash metal band from Kuopio Finland which was formed in December 2002 as a project of J.Salo (guitars and vocals) and A.Leskinen (drums). T.Kuuluvainen joined the band in January 2003 as a lead guitarist. With that line-up recorded WRTX its first demo "Step I - The Dark Sources of Humanity" in summer 2003 at Midgard studio. Music on that demo is some kind of rocking thrash metal and at the end of the summer H.Liimatainen joined the band as a bass player. In January 2004 A.Leskinen decided to left WRTX and the band needed to find a new drummer who would be more hardworking. After a while J.Salo asked his friend J.Kumpunen if he had interest to become a drummer of WRTX. J. Kumpunen joined the band. In May 2005 N. Salo started to play as a live guitarist meanwhile J. Salo could focus better on live shouting. In spring 2006 H. Liimatainen found himself too busy on his cook's career, so N. Salo humbled himself to play bass in WRTX. After the drummer had changed, WRTX's music begun to develope into faster and not so "rocking" thrash metal. Nowadays WRTX's songs are much more aggressive and probably a bit more technical too. In August 2006 WRTX finally decided to record their second release "Unbeknowst To Us" by theirself.